Purrcast Episode 17 ft Pig. Listening studiously to so many different cats purring you begin to develop an ear for different purring qualities. Having found Pig on the street as a kitten he always has had stuffy sinuses. You can really hear every breath through his nose, sometimes giving a little whistle. 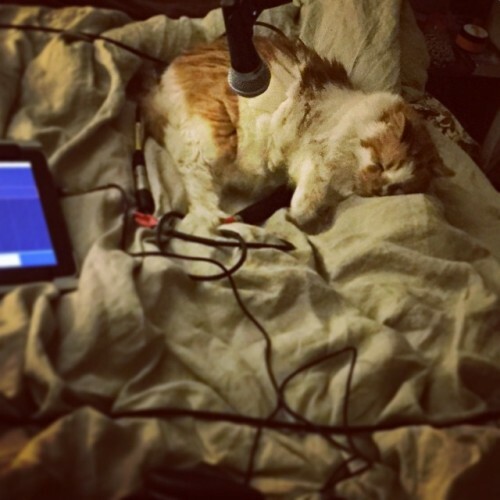 One of the Purrcast Patreon extras is a short recording of Pig Snoring. Right now we are $1 per episode away from the Patreon milestone goal of giving 1/3 of the Patreon money raised to a local (To Baltimore) animal charity. Do it for the kitties!